A four-player co-operative FPS game set in the Prime universe, apparently. I'm going to say that I don't have high hopes for this in the least, starting with the chibified style, but I'll gladly be surprised if they turn it around. All I can say is that I hope Nintendo doesn't decide nobody wants a Metroid game if it doesn't sell, and I hope they don't use any success as a measuring stick for What People Want. This spin-off definitely strikes me as "Oh, man, we need to put out a Metroid game but we are nowhere near developing something in the core series right now. Let's...get this thing out there." Maybe that's not giving it enough credit, but as far as I'm concerned, call me when there's a full-fledged title coming out. [QUOTE="Marilink, post: 1538761, member: 23215"]This spin-off definitely strikes me as "Oh, man, we need to put out a Metroid game but we are nowhere near developing something in the core series right now. Let's...get this thing out there." To be honest, the proportions and such make me think it may have started life as another Miis pretending to be a Metroid game thing. The primary color masks and such are definitely crossing a line for me into party game territory. ^Maybe that's what it still is. We don't know who's in those suits. ^^ Literally anything is better than Miis. ^ I'm at that video on Youtube right now, and it has about 700 likes and 6600 dislikes. Guess it's not going over well. I guess no one cares about the mooks that get killed by the hundreds in Metroid games. 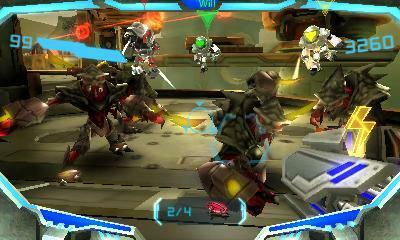 The game looks like it might be fun on its own...but it doesn't look like a Metroid game. My thoughts exactly. I'm cautiously optimistic that it might otherwise be a good game (I love FPS co-op) but the thought of something presented this way being a Metroid game kind of makes me grind my teeth. I mean, I love Metroid for being itself, and this isn't it. Heck, Prime itself has more in common with Zelda than it does other FPS, but that doesn't mean I want a Metroid: Four Swords game. Not this way. Asymmetric gameplay with Samus plus other bounty hunters could've been really amazing, considering. 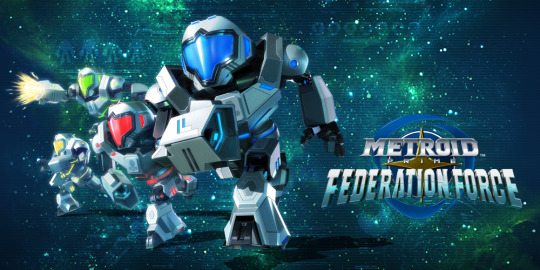 The Federation is probably the absolute least interesting aspect of Metroid. They haven't really given it any politic overall aside from quasi-evil military industrial complex, and we don't have any real details about the society they protect, the origins of their people, etc. This game is welcome to touch on that, but I'm doubting it will happen. "Larry was a good soldier. He had a family. Had kids. Larry went to the planet Aether once. He never came back. Now you can relive what Larry went through. Feel his pain." ^ Become Dark Larry, shamble nonthreateningly toward Samus with all the firing precision of an Imperial Stormtrooper. Hell, I'd prefer that game. I swear, it's like I can't help but trip over better game ideas some days. I really feel sorry for Next Level Games. They wanted to pitch a 2D Metroid. To be fair, I really didn't like that art style either. Better than this, though. Oh goodness, this looks horrible. What an insult to the franchise. I actually think multiplayer is a welcome addition, especially VS (assuming this isn't purely co-op), but not like this...just look at it. Ugh. Is this 3DS or Wii U? Hopefully 3DS, it fits spin-offs much, much better. The thumbnail for Val's video has a giant "NINTENDO 3DS" Banner in it.